Have some spare time on your hands? Looking for ways to earn extra cash weekly? Then try doing some online paid surveys within the UK. We’re all well-aware of scams promising us the ability to earn money online, but this isn’t one. Many people can attest to the legitimacy of earning money with online surveys, and now you can too! 2 Who can make money with online surveys? Why am I so confident making this statement? It’s simple. Because I myself am making money with online paid surveys. When I began completing surveys for money years ago, there weren’t nearly as many survey sites available. Now, there’s a plethora of sites present in the online community. Competitions have also gotten better which means more sites, more surveys and more opportunities to make money online. Who can make money with online surveys? Online surveys are can be completed by anyone who resides in the UK. Some survey sites are country specifics and won’t allow you to register if you are located outside of their region, which is why this site’s information is focused specifically for Brits wanting to complete paid online surveys. A general requirement of these sites is that you must also be at least 18 years old to sign-up, but besides for this, there’s no real restriction on who can participate. As long as you’re consistent and patient, you can have success with online surveys simply by answering questions. This ease of use is why I’m a survey fanatic – and I’m really hoping you want to become one too! The main benefit of completing surveys is that you can make money just by sharing your opinions, or by taking part in online market research initiatives. You might find it difficult choosing one of the many survey sites to register with. What I suggest is to read the reviews of all the legitimate survey companies before deciding. When you find sites that appeal to you, sign up to them. I recommend signing up to just 2 or 3 sites for the time being so that you can survey them and see how they work for you. Then you can try others. Below are a few of the well-known sites for Brits. I personally recommend the following two sites as I found I had the most success with them initially. I know it might be a different case with others so I still suggest reading about other sites to find ones perfect for you. 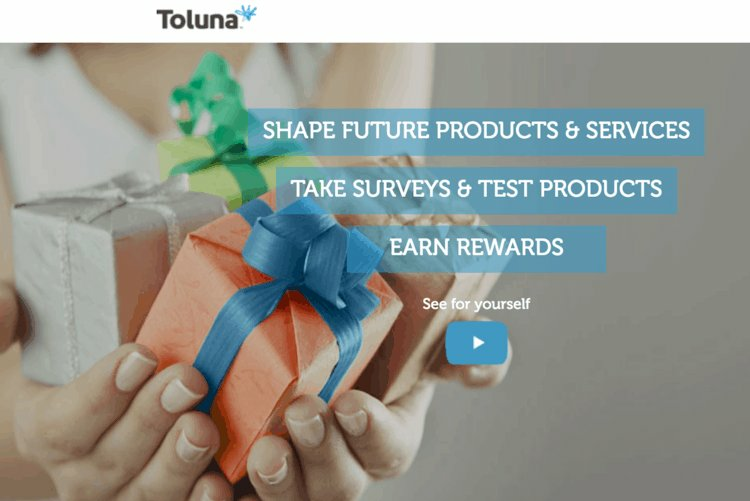 Toluna is a very popular and successful survey site. They offer a bunch of rewards and benefits. You are paid well for your time and as a member a member you can consistently receive survey offers. Survey offers are sent regularly via email or on their site. They have a whooping number of members reaching over 10,000,000 too and a great online community. Swagbucks had been a favourite site of mine as they offer a variety of ways to earn points. They offer one of the best online pay rates among survey sites too. I also love their simplified point and reward system since as it means I’m well-aware of the exact points I am getting from every survey I complete. While there are many legitimate survey sites, there are also many fakes. It’s best to research a site carefully before you give away any of your personal details. Although it can be more difficult with new sites, you want to be sure they have a good reputation an consistently positive reviews among users. Survey sites which offer points and rewards that are too good to be true should raise a red flag. You should be paid for completing online surveys, but not exorbitant amounts. Online surveys can be a great way to earn extra cash – if you know where to look. Many sites offer great benefits and they’re not only a good way to earn extra money, but they can be fun to complete and a great way to pass the time.